Company One Theatre is proud to have over 80 projects and over 60 collaborating artists and partners represented on the WORLD THEATRE MAP, an open-source project of HowlRound: A Center for the Theatre Commons. The World Theatre Map is a user-generated directory and real time map of the global theatre community. It’s a digital commons, free and open to all. 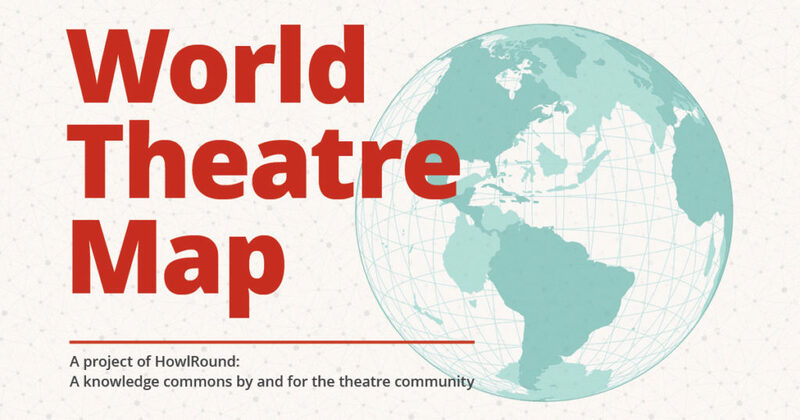 The World Theatre Map aims to make the field visible to itself by providing a collectively-owned, people-powered infrastructure to connect isolated theatremakers to vital information resources and knowledge. Visit the Map to trace the path of past and upcoming C1 projects, and find out more about C1 playwrights and plays in development and production at other theatres across the country.